This app is really simple and clutter free. I’m not bogged down by a ton of different options that make things confusing and difficult. No need to “build a system”, since it’s just Lists and tasks. 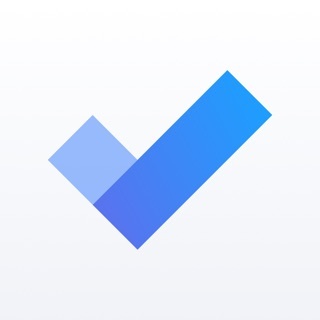 If you like Apple Reminders, Microsoft Todo or Clear, this app will be great for you. If you’re looking for the flexibility of Omnifocus or the structure/filtering of Todoist then probably not. It’s free though, and integrates with my Google Calendar and GMail so desktop support is available on all platforms essentially. Not so much for OmniFocus and some of the other iOS task apps (Apple only). I can work on my tasks while on my work computer (Windows) while adding on my iPhone when in a meeting. I would love to see Google search in the app. Search by the context of what I’m doing and have their AI recommend tasks to work on based on my availability or context. Any kind of search would be better than no search. Otherwise, it’s a good app. I’ll be using this instead of renewing my Todoist. I have been using Google Tasks within Google Calendar for years. It’s ability to layer tasks on my calendar made it my task management tool of choice over all others since I use Google Calendar every day. I needed a way to access, add to & edit my tasks on the go, like on the subway, when I think about things I have to do & process my lists. Because Google didn’t have an app, I used GTasks. When Google finally came out with this app I was so excited. I am completely shocked, however, that there is no search feature. This is essential and it seems pretty obviously from an end user work flow standpoint that this would be necessary. When I am thinking about a particular task that I know I have put on one of my lists and want to find it to add to it or adjust the due date; it doesn’t make sense that I have to manually search through hundreds of tasks to find it. That is inefficient. Isn’t the purpose of technology to make things faster & easier. As a college student, I use planners, journals, and to-do list apps every single day of my life. When finding Google Tasks, I loved it’s minimal design and user friendly interface. I use it every single day, as I am all over campus on different computers where I can sign into my google account on any computer and also access my Google Tasks page from there without using my phone. While this is a great to-do list app, I only have one major issue with it: and that is that there is no option to add a certain due date or time a certain task needs to be done. For example, I would love to add a time when a certain tasks needs to be done and add a time as well as the date so that a reminder can alert me on my phone to begin working on said task or objective. I think this would make this app even more successful than it already is, so Developers, please add a time option on the Google Tasks app.